Thank you to The Bradford Exchange for sending me this beautiful music box. As always, all opinions are my own. I absolutely love personalized gifts. Anytime I can gift my family members with something that has their name on it, or something that makes it that much more personal, I do! After seeing The Nutcracker movie, our daughter has been asking for a music box. Since Valentine’s Day is right around the corner, I turned to The Bradford Exchange to check out their Valentine’s Day Music Boxes. They have so many amazing options available, and I chose one for our daughter that I know she’ll love. 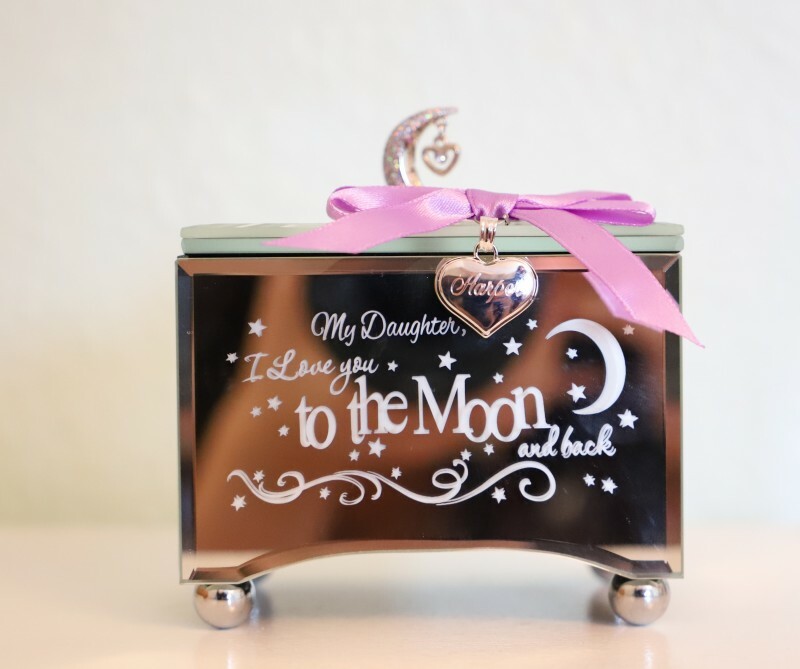 A common phrase that I say to our kids is “I love you to the moon and back”, so when I found the My Daughter, I Love You To The Moon Personalized Music Box, I knew it would be the perfect choice! Every time I say this sweet phrase to our daughter she lights up and tries to think of things farther away than the moon. It’s adorable and I hope it’s a memory she’ll keep with her a long time. I know I will! This gorgeous music box plays “You Are So Beautiful” and is made of handcrafted beveled glass. 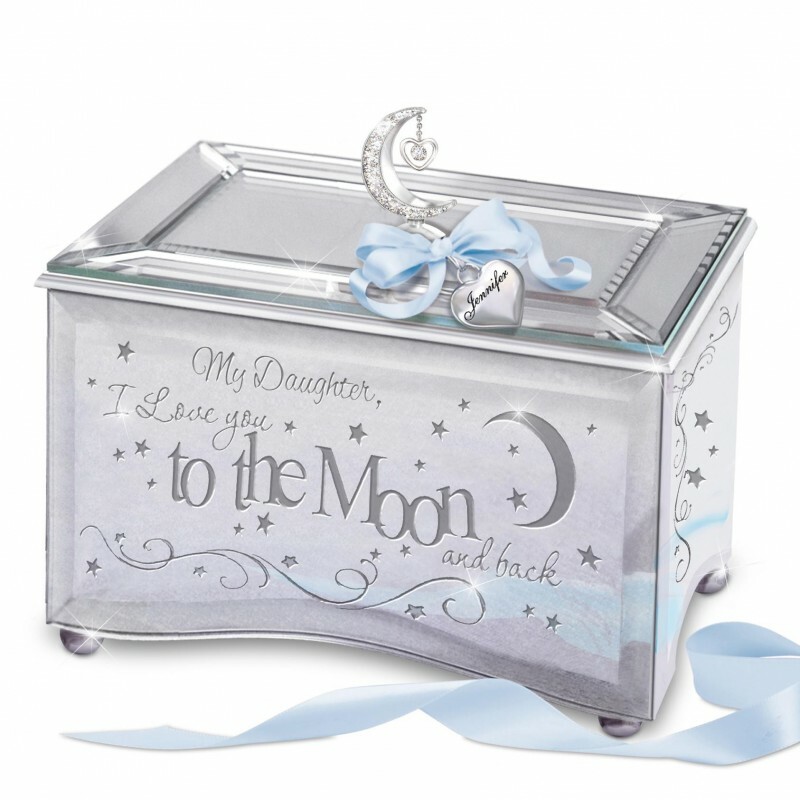 The sentiment “My Daughter, I love you to the Moon and back” is etched on the front and the cover opens to reveal a small area to store trinkets. On the top of the cover is a half moon embellished with crystals with a small heart hanging from it. 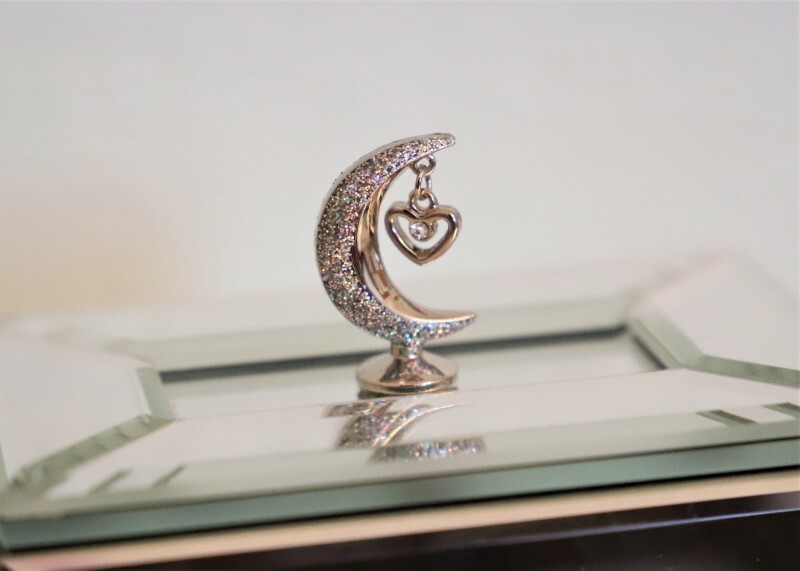 A silver heart charm hangs from the moon, and the heart can be personalized with a name. 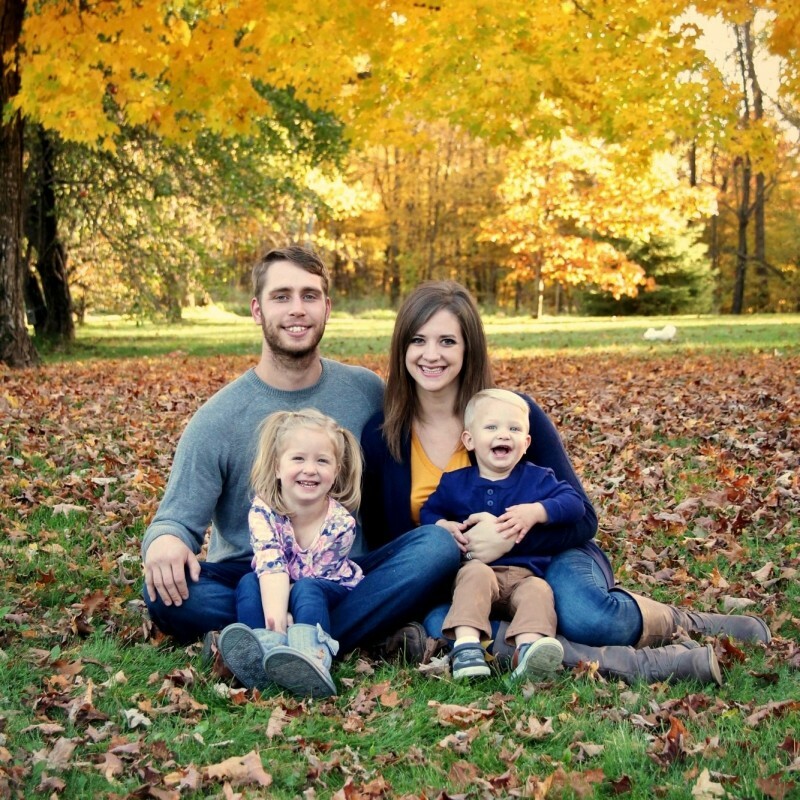 I got our daughter Harper’s name on her heart, and I’m sure she’ll love that little detail! The music box also comes with an original poem printed on a poem card that can be stored inside. While it is a bit smaller than I expected, it’s a gorgeous piece and will be a timeless gift. I hope that someday Harper will have a daughter so she can pass this music box on to her. I can’t wait to see her face when she opens it on Valentine’s Day! These are absolutely beautiful! 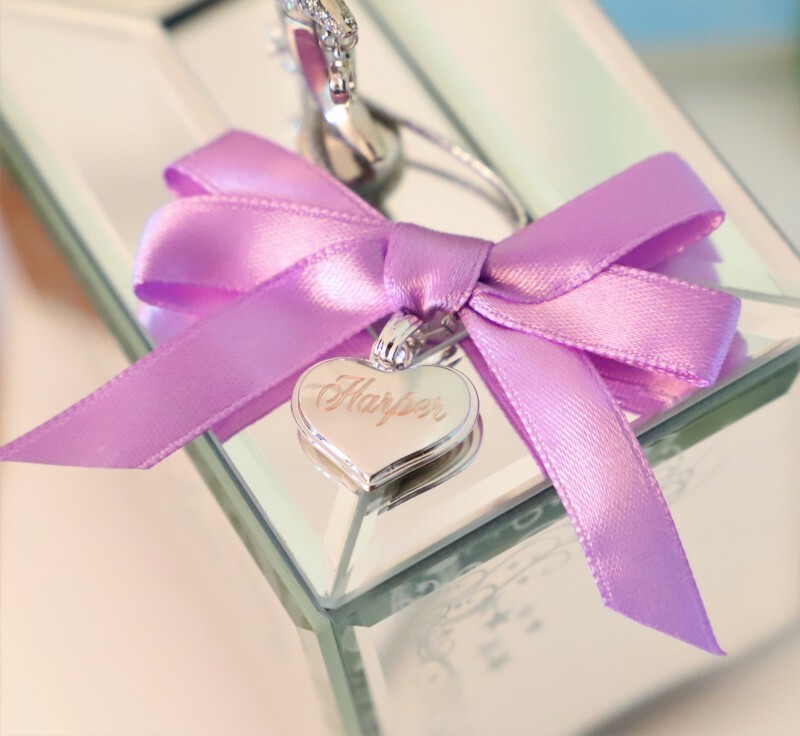 What an incredible gift – would be perfect for a special birthday like a sweet 16. What nice music boxes for gifts! That is so very pretty. The Bradford Exchange always has great gift ideas! What a beautiful music box! I love the little jewelled moon on top. The poem is so sweet too. This is such a special gift! This would make such a wonderful gift for Valentine’s Day. This is something I would love to receive. I think the Bradford Exchange has the most creative gifts. 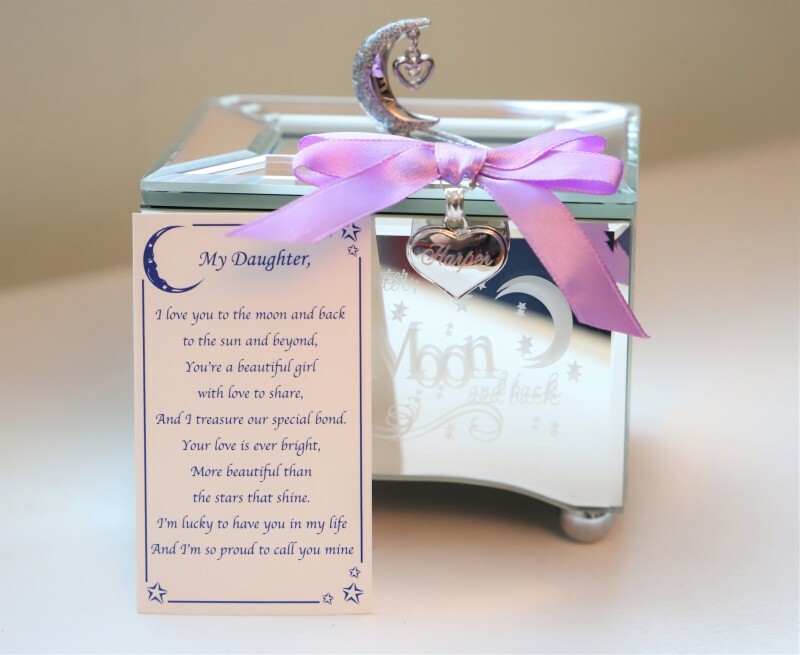 This music box is a PERFECT gift for any daughter. This is something she will keep with her the rest of her life. I love this, I found the same one with Granddaughter… I will get that one. Thank you for the post. This is beautiful! I would love this for both my daughters. It’s such a wonderful keepsake. Those are really gorgeous and sweet! The Bradford Exchange makes amazing keepsakes! What a beautiful item! So pretty and would make a lovely gift.